Apologetics comes from the reality of Scripture. It is not an invention of theologians and philosophers. I‘ve decided to try something new, to start a new type of series. I love to read, and I’ve been writing book reviews for years. I also love to listen to lectures, and often fill the time during my daily commute with courses from the online libraries of schools such as Reformed Theological Seminary, Westminster, Gordon-Conwell, Covenant, and others. So I’ve decided start providing summaries, analysis, and critiques of these courses and lecture series, partially to help me process what I’ve encountered and partially because it’s not something I’ve seen done before and I think it’ll be fun. The first series of lectures I will be reviewing is Dr. Scott Oliphint’s course Apologetics 101 at Westminster Theological Seminary (WTS). Scott is a minister in the Orthodox Presbyterian Church (OPC) and is professor of apologetics and systematic theology at Westminster. He is one of the foremost experts on Cornelius Van Til and the sphere of presuppositional apologetics (along with John Frame and the late Greg Bahnsen), and is perhaps best known for his re-framing of presuppositionalism in the form of Covenantal Apologetics. Scott is on Twitter, has written for Ligonier and DesiringGod, and has many resources available on SermonAudio. This course is available for free on iTunesU. Dr. Oliphint’s course can be divided into roughly 3 main sections with various sub-sections: the Biblical foundations and justification for apologetics, the theological tenants which support apologetics, and the point of contact in apologetics along with its methodology. Scott begins his course by providing a justification for the practice of apologetics. 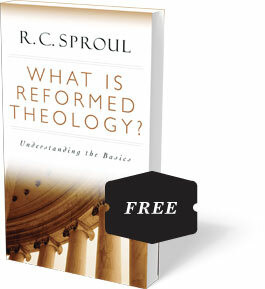 Apart from justifying his position at the seminary, what he is really doing here is contending with one of the common objections against apologetics: that is it a merely philosophical endeavor for the ivory tower with no real grounding in Scripture and with little value for real evangelism. Apologetics is sometimes seen as tangential to Scripture. His point in his first few lectures is that apologetics is fundamentally a biblical discipline, that it has its warrant from Scripture. It is not first of all a philosophical discipline. The reason much of it is done in the philosophical context is because many of the attacks against Christianity come at it in that context. There is a need for the church to be involved in the defense of the faith. There is a need because God has invited us, indeed commanded us, to be involved in the battle with Him. Yet this battle is not the same sort as was waged in the Old Testament. In the Old Testament this was more of a physical battle, in the New Testament it is a spiritual battle. Thus, the radical shift from Old Covenant to New Covenant is that the battle is not a physical battle with its focus on earthly things, but a spiritual battle with its focus on spiritual things. The only offensive weapon of the New Covenant is the sword of the Spirit – the Word of God. Because God has called us to battle we are to be prepared for battle. God’s desire is that we seek his will, and his will in regards to apologetics is that we be prepared in our own holiness and recognize who the Lord is. When we’re thinking about apologetics the first place to look and fight unbelief is in our own heart. The first place we have to think about destroying the enemy is the enemy within. Neglect that and whatever we do will not be useful. Additionally, God is always present in the midst of the battle. We always do this within the presence of God himself. Finally, these battles are covenantal battles, we never defend the faith alone. This covenantal sphere is where Dr. Oliphint places the crux of apologetics (hence the name of his book). We are either in Adam or we’re in Christ. As humans we have one of these federal heads, there are no other options. This is where Dr. Oliphint gets the name “Covenantal Apologetics” for his approach. The battle is a covenantal one focused on spiritual things, against sin, death, and the devil. These are destroyed in Christ. How? As people hear the gospel. God’s enemies are subdued through the power of the Word of God through the preaching of the Gospel through apologetics. The defense of Christianity is part of the destruction of the enemies of God such that when we convey the truth of God it carries the power to destroy the enemies of God – destroying them by recreating them. Based on this biblical foundation we must always be ready to defend the faith. When opportunities arise we should be ready and willing to defend the faith, to explain the logic of our faith, and to explain the relation of it to everything else. We can do this because Christianity is true such that it is true even if you don’t believe it. It comports with reality, therefore we should be able to explain the way it comports with reality. The way it comports with reality is not merely in a scientific or rational sense, but also in an experiential sense, thus Oliphint states that to be effective Christians need to have a Bible in one hand and a newspaper in the other. That is, Christians should always be thinking about the relevancy and the application of the Bible to the present day and how best to share that truth. A key point of this section of Oliphint’s lectures is that apologetics is like premeditated evangelism. Your goal is to evangelize, not to argue, but you think through that evangelism beforehand. This requires study, but it doesn’t require study of every random objection that could possibly be thrown against the faith; rather, Oliphint argues, the goal should be to know the truth so well and so deeply that we can know the things that are false by virtue of knowing the truth. Finally, in line with apologetics being premeditated evangelism, Oliphint points out that we’re not defending theism. A mere theist goes to hell just like everybody else. We are defending Christianity. Our goal is to get people to understand not merely the rational reasons that we believe, but also the reality of Christ as Savior. We are told to be ready to defend the hope that is within us, but the hope that is within us is not merely that there is a God. The fact that there is a God provides no hope whatsoever; indeed in the Old Testament the mere fact that there is a God is a terrifying thing. Also, because our goal is evangelism rather than argument, that means that we are not approaching the nonbeliever as the enemy, as somebody to defeat. We often want to speak as if the person that we’re talking to is the real enemy and that we need to put him down, that we need to beat him up to win. Rather, we need to be Christ-like in our approach to the nonbeliever. Before moving on to the theological tenants of apologetics Oliphint offers a brief aside about how Christians should have both content and persuasive elements in our speaking. He also offers the encouragement that we’ll never be to the place where every time we have a conversation we have a convert; this is because – in the end – God is the one who converts, not our fancy or well thought-out words. As was made clear in the first portion of the course, apologetics is not an invention of theologians and philosophers. We must get out of the mode of thinking of apologetics as a philosophical discipline. It operates there only because many objections come from there. That said apologetics moves up from Scripture, therefore it has a theological aspect. There are different views on how apologetics relates to Scripture and on apologetical methodology in general – that is, how to actually go about the process of doing apologetics. There are classical apologists, evidentialists, fideists, presuppositionalists, etc. One of Oliphint’s key points in this section is that if we have a disagreement with somebody on apologetical methodology that discussion needs to focus on theology, not philosophy. The difference between the classical apologist and the covenantal apologist is a theological difference. This difference can be seen in that there are those in the history of the church for whom the basis of apologetics lies not in God’s special revelation but in common human reasoning. Part of the argument in the early church was that there was a logos that permeated every person that could be appealed to. Thomas Aquinas, in turn, argued there are certain things about God that can be discovered by reason on its own, such as that God exists and that he is one. These are what he developed as the theistic proofs. The end point of this argumentation does not result in Christianity, but in theism (it would be at that point, having arrived at theism, that the classical apologist would make the move for arguing for Yahweh in particular). We must of course use reason in our thought, the question is whether reason alone is the vehicle by which we’re meant to argue. In this way revelation ends up being very mystic, with little connection to the real world. It becomes less apparent how one is supposed to bring together the gospel with the theism found by reason alone. On a similar note there is an issue of authority in apologetical methodology (one of the areas that Van Til honed in on quite strongly). When looking at our apologetical methodology we have to ask the question of where the authority lies in our process; what is the ultimate thing being appealed to. Is it God, or is it our own autonomous reason? That is to say, if you come to the Bible saying that you won’t believe the Bible unless you can work all these problems in your head then – according to Oliphint – your final authority isn’t the Bible. The goal should be to approach the Bible as the Word of God and then approach the supposed errors on that ground rather than vis versa. When the Word is given priority then we can surmise that when we fail that maybe the problem is that we are simply too limited, too finite, and don’t have all the information; maybe we just don’t understand the text properly. Dr. Oliphint’s key point here is that if you don’t trust what God has said then you must trust yourself. You either begin with the authority of Scripture or you begin with your own authority. The first theological tenant that Oliphint comes to is the doctrine of Scripture. The doctrine of Scripture is an important place to start because Satan knows if he can get at this then the rest will fall. Furthermore, we can’t move on to the rest of theology – doctrine of God, doctrine of Christ, doctrine of church, etc – until after this foundation has been laid. When approaching Scripture and drawing our theology from it we must remember that the Bible is not a pile of blocks, it is an organism. It’s unity is organic, it is not a compilation of isolated and unrelated divine oracles. We don’t simply draw out concepts or static ideas from the Bible, but understand it as a product of God working in history. God works in history revealing himself to his people, and this context is important to take into account. There are two options when approaching the doctrine of Scripture. We can either recognize that God has said something and trust that, or we can trust ourselves. We trust it, partially because nothing else can make sense unless you trust it. It is the impossibility of the contrary. We must presuppose God and his trustworthiness for anything else to make sense. It might be objected “but you’re reasoning in a circle!” To this Oliphint responds that the alternative is to trust our own reason, and the only way we can justify trusting our own reason is through use of our own reason, in which case we’re still reasoning in a circle. The difference is that in this case it is merely our own private circle. We thus have two options in the world: to believe or to not believe, to trust yourself or to trust something beyond yourself. The question is whether we are sure enough to trust ourselves at every point, including what happens after death. We are duty bound to believe the Scriptures. Thus, we don’t tell people to believe based on our authority or on our credentials, but on the testimony of the Word of God. Similarly – in reference to biblical canon – Dr. Oliphint notes that the church does not determine what is authoritative, but recognizes what is authoritative (ie, no council pronounced what the books of the Bible are). With this basic foundation laid on how to approach Scripture, Dr. Oliphint makes an aside to discuss how Scripture – special revelation – fits together with general revelation. Dr. Oliphint makes the argument that everything is revelation – either general or special – and the two are meant to go together. Thus in Genesis when God says “all these trees” he is giving general revelation; when he says “but not this tree,” that is special revelation. These two types of revelation are the two foundations for our thought. Being has its ground in God, knowledge has its ground in what God says. Knowledge has its ground in what God says, both in the world and in his Word. Natural and special revelation are meant to be together. Thus, the Bible is not a book out of context, it comes to us in the context of God speaking in his natural revelation, the revelation that everyone knows. Because of this when we approach someone for evangelism we never come to a tabula rasa, but rather with someone who is already connected with God’s natural revelation. As a consequence the special revelation given – the gospel – is able to automatically connect with natural revelation, with the natural knowledge of God that they already have (this does not mean that they’re going to believe it but it means that they have the capacity to). Having established that the Scriptures are the foundation of our apologetics, Oliphint goes on to discuss their sufficiency (arguing against approaches that allow for new personal revelation, ie “God told me xyz”, and arguing for the fact that God’s ‘will of direction’ is more a ‘circle of options’ than a specific mandate). This discussion leads into a discussion of the authority of Scripture; the fact that Scripture is self-attesting and carries its authority on the words that are there. Dr. Oliphint ends his section on the doctrine of Scripture by pointing out the perspicuity – or clearness – of Scripture. This is key to covenantal apologetics, for it asserts that the reason why nonbelievers – even the greatest minds of the philosophers – find it difficult to see God is not that God has not made himself known. The issue is not that God has made himself obscured or difficult to perceive and difficult to know; rather, the problem is that nonbelievers are sinners and have obscured that knowledge of God. Moving on from the doctrine of Scripture, Dr. Oliphint continues on to the doctrines of God, Christ, and the Trinity. 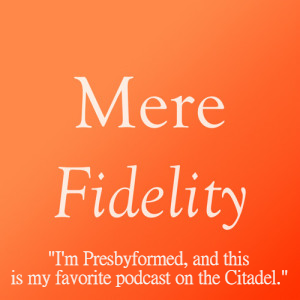 Throughout these discussions Dr. Oliphint stays tightly with the Westminster Confession. He notes how God has condescended to covenant with us, and how we all have a responsibility to that covenant. He discusses how God’s ways are ultimately inscrutable such that we cannot ultimately understand them. Quite simply, we can’t put God in the dock and say that we won’t believe until we get to the bottom of why God acts. That’s not a level of insight that can be achieved. This is important for apologetics because it tells us that we can hold everything up to the standard of human reason; some things are beyond it. Naturally following from Dr. Oliphint’s doctrine of God is his doctrine of man. He begins this discussion by discussing man as being in the image of God. To be human is to be made in the image of God. Those outside Reformed circles will often collapse this truth down into a mere assertion that we are rational, yet the image of God does not mean merely that we are rational creatures. Rationality, rather, is one expression of that image; we are rational because God is rational. We never lose the image of God but we do twist and distort it. Further pushing against the more ‘classic’ approach to epistemology and apologetics, Dr. Oliphint points out that the reason “what can be known about God is plain in them” is not because we think clearly or our rational faculties are so excellent, but because God makes it plain to us. Since it isn’t a matter of intellectual acumen, no one can plead ignorance; everything that is reveals God, and Romans tells us that we get it. We may suppress the knowledge, but we get it. Revelation gets through because God is the one doing the revealing. The ultimate result of this suppression is hell, which is not the absence of God, but rather an eternity with the one who created you and who gave you life who you rejected all your life; this, says Oliphint, is what makes it hellish. The thing that is the greatest glory is the greatest desire for the believer, seeing God, is the greatest torment where the unbeliever. Merely facing an eternity of fire would be much more palatable. Man is not only in the image of God, but man is in covenant with God, such that everyone stands in the context of one covenant-head or the other, of Adam or of Christ. Because of all of this we can know that when we are approaching somebody we’re approaching somebody who knows God. Knowing that they know God helps us recognize what some of the points of suppression are. Whenever we come to somebody with a defense of Christianity we can know that God is already there, that he’s already working. We don’t give the unbeliever new or alien truths. The truth’s we communicate in apologetics go straight to their inherit knowledge of God; as Dr. Oliphint points out if they respond that it is nonsensical it is primarily due to their suppression of the truth. Indeed, Dr. Oliphint argues that the truth of special Revelation always connects with the truth of general revelation. The two are meant to go hand-in-hand, they’re meant to meet. God has already been there working in the nonbeliever; such that we’re coming there to remind them of what they already know is the case. The “point of contact” is a key term in discussions of apologetics; it is the question of how we connect the truths of God to the nonbeliever. Is the apologist to go onto the nonbeliever’s ground? To argue from secular truths? To depend upon reason alone? Upon experience? The point of contact is a big issue in apologetics. The question of how you connect and where you connect. If the antithesis is as radical as the Scriptures say it is – that we are either in Adam or in Christ – then the apologist must ask what can bring that together? For Dr. Oliphint, the point of contact between the Christian and the non-believer is this knowledge of God that they have. We never come to someone who is just living in a vacuum outside revelation. The knowledge of God is that point of contact. That’s what the apologist is appealing to, not to some neutral concept of reason. This is possible because nobody is ever fully outside of any relationship with God. Nobody can annihilate the knowledge of God that is in them. As stated by Dr. Oliphint, “A nice little bumper sticker statement of Van Til’s approach is this: atheism presupposes theism.” He argues that this is the case because the only way you can be an atheist is if God exists and you know him; you can’t make sense of the world unless God is who he says he is. As an example, Oliphint states that if we are dealing with the problem of evil we can point out that, yes, there is an incompatibility between the goodness and the sovereignty. We can then ask why the other person thinks Christians think the God is all-good all-powerful and all-knowing. As it happens, Christians think God has those attributes not because it is the standard view, but because God has revealed himself as that way. Since the Word is the basis for the claims that are being questioned, the Word must be allowed into the discussion. We must go to God’s revelation in order to find the answer for how this is resolved since the dilemma is based in that same Word. The key here is that we cannot discount revelation in this discussion because the very dilemma is based upon revelation and how God has revealed himself. This essentially offers an outline of apologetic methodology and states why apologetics have to be based on biblical truth. Apologetics is not doing philosophy. It sometimes touches on philosophy, but at it’s core apologetics rises up from biblical truth. Because it rises up from biblical truth rather than ivory tower of philosophy, apologetics is meant for everybody in the church. It’s not just for intellectuals or philosophers. Knowing this, the apologist can work simply work to convey biblical truths. Whether they believe is between them and God, our responsibility is simply to convey the truth. With a solid foundation and point of contact in the Scripture, Dr. Oliphint moves to a discussion of logic and the nature of argumentation. His goal here is to help his students understand how to think properly since so much is fraught with fallacy. In this section Oliphint discusses the nature of sound and valid arguments, how premises lead to conclusions, and the difference between thinking and reasoning. He discusses deductive and inductive arguments, logical fallacies, and formal logic. 1) Identify the main conclusion, state it without personal attacks. 2) Identify the premises, what reasons they provide to support conclusion. 3) Identify the structure of argument. Diagram if need be. 4) Check acceptability of premises: check for consistency (are they consistent with themselves? ); check for equivocation, false dichotomies, etc. 6) Check the adequacy. Are they adequate to support conclusions, are they strong enough? A discussion of worldviews is necessary because – according to Dr. Oliphint – there is no real piecemeal defense of Christianity; it must be defended as a whole. There are a few key figures discussed in these last few lectures, to include Abraham Kuyper, Herman Dooyeweerd, and Jacques Derrida. For Kuyper, the discussion revolves around the notion of antithesis: there is no neutrality, an individual is either regenerate or unregenerate. The antithesis is thus Covenantal, not metaphysical. In turn, history is the arena in which there is a differentiating between those who are in Adam and those who are in Christ; history is the process of working that out. Following Kuyper, Dooyeweerd was trying to develop a Christian philosophy in the same line as Kuyper, borrowing from the phenomenology Edmund Husserl in the process. The idea for Dooyeweerd was that all thought is directed towards something. There is an intentionality and an aim towards some phenomena. One’s worldview is thus not purely theoretical. The key thing Dooyeweerd wanted to know was whether philosophy is merely a thing that Christians can do or whether there can be a distinctly Christian philosophy. After covering two distinctly modern thinkers in the form of Kuyper and Dooyeweerd, Dr. Olphint goes on to a brief discussion of postmodernism. A key point for Oliphint in this section is that postmodernism is not the end of or repudiation of worldviews. Rather, it is just another worldview that’s floating around with its own epistemological markers. This naturally leads to a discussion of a key figure of postmodernism in the form of Derrida, who critiqued Western philosophy for being too logocentric. Derrida’s goal was to critique the idea that there is some absolute to which our language refers and he fault’s western philosophy for trying to discover/define truth by analyzing language and seeing what truth language points, to discover what is behind language; for Derrida there is nothing behind it (there is no pre-linguistic idea or notion of spirit or of any truth that we can get to or that ever did exist). On the whole, this course is absolutely fantastic and well worth the listen. There are a few lectures that get rather technical (mainly those later in the course dealing with logic, argumentation, and some of the more obscure details of philosophy) but on the whole Dr. Oliphint presents his material in a way which I believe will be accessible to many laypeople. His lectures are especially encouraging for the average Christian in that he argues that it doesn’t take special knowledge or a graduate degree in philosophy to understand and do apologetics. Since apologetics is grounded in speaking biblical truth to the knowledge of God already present in every person it something that any Christian can do. The proper response to this should perhaps be an Apologetics Explosion to complement the Evangelism Explosion since, indeed, apologetics is simply premeditated evangelism. Dr. Oliphint packages Cornelius Van Til’s method in a much cleaner and more well-structured package than Van Til himself did, and in language that is much more accessible (Van Til is notoriously theoretical and heavily philosophical in his presentation of this material); for that we should be grateful. -We must never plead the justice of God before the throne of God, because we will be condemned. -Apologetics is the way God defends his character through human means. -The Bible is not a pile of blocks, it is an organism. It’s unity is organic, it is not a compilation of isolated and unrelated divine oracles. -Hell is still a relationship to God, it is just a wrathful relationship. -Every Arminian is a Calvinist when he’s on his knees. There are a few minor areas where this course can be critiqued. 1) It’s not always clear in the earlier lectures how what he’s talking about connects to the subject of apologetics. It would have been helpful for him to have had some more signposts saying “this is why this is relevant and this is where we’re going with this. 2) I’m not completely sold on the Trinity as the solution to the longstanding philosophical problem of unity and diversity. It is a convenient way to explain away the issue, but I feel it is too much of a hand-wave. 3) The lecture on logical fallacies and formal logic is somewhat weak and lacks a solid backbone; it comes across as a checklist of thoughts rather than a tightly knit analysis of how to use logic and guard against fallacies in this setting. 4) This last criticism is really more of a pet-peeve of mine, and that is that Dr. Oliphint – along with many, many others – incorrectly identifies a meta-narrative as a worldview or an overarching story. The term was coined by Jean-Francois Lyotard and refers specifically – as stated by James K. A. Smith – to a system’s attempt (namely in modernity) to “claim to be able to legitimate or prove the story’s claim by an appeal to universal reason.” This appeal to objective external rationality is the key feature of meta-narrative, it’s not just any overarching explanatory system or story (those, in Lyotard’s language, are mega-narratives). Christianity has a mega-narrative, only classical apologetics can be said to include meta-narrative. There also thus a subsequent confusion when Dr. Oliphint claims that postmodernism has to have some sort of meta-narrative if it is going to argue it’s case. That, Dr. Oliphint – along with most everybody who critiques postmodernism from within Christianity – wants to argue that when postmoderns assert that postmodernism is true no matter where you are or where you live, that they necessarily have a meta-narrative and make an appeal to logic. That is fair enough if they are making that claim, but that itself is up for debate. Finally, I would like it if more people who talk about the subject would acknowledge that postmodernism is no longer a new or growing trend, but a stagnating one that as a subject of serious academic discussion has been a thing of the past for almost a decade in Europe. While its effects are still present, postmodernism as a movement has worn itself out, yet those in the church discuss it as if it still a living behemoth to be challenged, largely because the church is almost always a solid 10 or 15 or even 30 years behind the intellectual curve. It is true that many will continue to operate on those assumptions for quite some time – indeed, modernism is still alive and well in many areas. It might even be said that modernism and postmodernism exist side-by-side in the minds of many, and this is possibly simply because our minds allow for a large amount of cognitive dissonance. Regardless, in the academy there has been a resurgence of such things as metaphysics and away from the linguistic analysis of the great postmoderns, marking a distinct shift into some new – or old – direction. The integrity of the lectures or of Dr. Oliphint’s thought is not affected by this critique, but it could be polished by brushing up this area.